Burdened by muscle tightness, but can't seem to get rid of it? Maybe you need Muscle Activation Techniques! Two of my clients are suffering from tight hamstrings. They both complain that they only feel their hamstrings when they walk, sit, stand, or perform any exercise. Their focus is naturally drawn to that area. Something must be wrong with the hamstrings. How can we loosen them up? What is wrong with my hamstrings? How can we fix my hamstrings? As a Muscle Activation Techniques practitioner, I assessed how their joints were moving, how well their muscles were contracting. Lo and behold, their hamstrings were functioning just fine! But some other muscle groups, although they were not areas that the clients complained about, were entirely dysfunctional and barely able to produce contractions. In these cases, the hip flexors on one client and the knee extensors on the other were lacking the ability to contract! Their hamstrings were tightening up to protect their bodies from moving into places where stability was not present. Essentially, the hamstrings were tightening up as a symptom of a lack of stability elsewhere. Their hamstrings were saying, "we won't let you go any further because it isn't safe there." Think of the hamstrings as the check engine lights on their cars. When your check engine light comes on, do you smash it with a hammer until it turns off, treating it like it is the problem? Or do you take your car in to see a specialist, who can find out what is causing the light to come on in the first place? 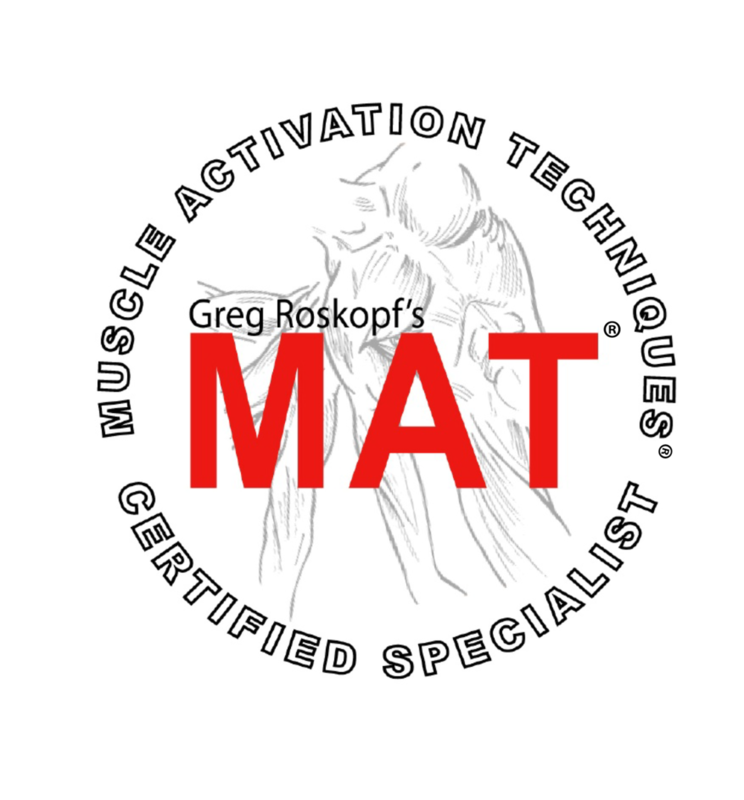 MAT allowed me to find that lack of communication in their hip flexors and knee extensors, and bring it back. Once I brought back the ability to contract, both clients got up and immediately noticed that the tightness in their hamstrings was alleviated. Their check engine lights were off now, because the parts in their engine that needed fixing had been taken care of. MAT looks at tightness as secondary to muscular weakness, treating the cause of your tightness as opposed to the tightness itself, which is almost always a symptom. Contact your local MAT practitioner today and feel the difference for yourself!